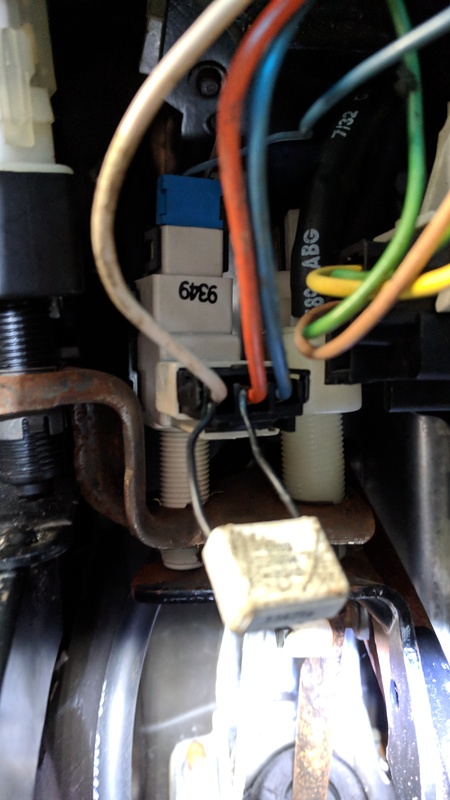 Posts: 14 Can anyone explain to me how to locate the brake light switch? All I know is it's near the brake pedal. When I look down there I see nothing but pedals and carpet. Thanks in advance! Posts: 48 The brake light switch is located at the top of the brake pedal, attached to the pedal cross bracket, and just below the pedal pivot point. It's actually a 2 switch assembly with electrical and a vacuum port connection. To access it properly, the Instrument Panel left hand lower trim panel must be removed (carpeted knee panel). The factory and aftermarket repair manuals have pictures of same. Also F.Y.I., the clutch pedal has an electrical cruise control switch on it too. Posts: 14 Thank you so much! That is very helpful. Posts: 14 So I finally have access to the switch. Do you know which wire controls the 3rd brake light? Or should I just attempt to replace the entire switch? Posts: 48 According to my factory 1996 Corvette Repair Manual, the orange wire (on the left side switch as/your photo which is the stop lamp switch) is the "hot" wire coming from the 20 amp Stop/Hazard fuse. The white wire is the out going lead to the turn signal and hazard switches and (which becomes light blue somewhere in the dash via a splice) the Center High Mounted Stop Lamp which is activated when the brake pedal is depressed. DO NOT "attempt" to replace the switch unless you confirm it is bad. If you replace the switch, the new switches adjustment is critical as it effects the anti-lock and traction control systems. 2 F.Y.I. notes: The right side switch is for the cruise control as also indicated by the vacuum hose coming off it in your photo. Also, the little square box wired between the orange and white wires is the Brake Light Capacitor as/my repair manual. What is it your doing and why? Posts: 48 I recommend you get a factory repair manual if you already don't have one. Posts: 14 I have the GM service manual but it has almost nothing to say about the brake light switch. 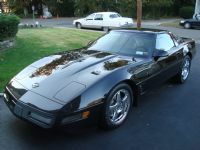 Had that issue on my 1990 ZR1 and it would not pass state inspection without the third light. I replaced the stop light switch and the issue was solved. It kind of self adjusts as you slide it into place. Hard to get to up under the dash drivers side on the brake pedal bracket (left). Pull the hush panel to access. lay on your back or pull the drivers seat to lay on the floor. It is a two part switch and the third light portion is on the back side of the switch, and the connection breaks down over time. I actually cleaned mine and it worked; but I decided for a few bucks better to replace it. Posts: 14 The problem was fixed by installing new brake light switch (easy) and cleaning the plug that the third brake light uses.